Grinding heads for wet or dry general purples grinding. Rapid stock removal is possible on hard to machine surfaces. Application: For all types of Stone, Concrete, Masonry and Terrazzo. 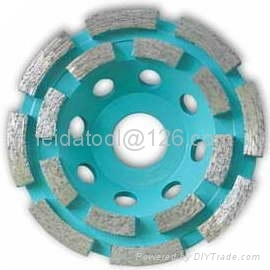 Other wheel sizes or specifications are available on request.